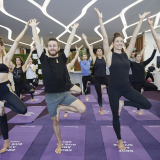 Virgin Australia today announced it has become the naming rights partner of V8 Supercars for the next five years, with fans set to benefit from the airline’s new V8 Supercars travel platform. The V8 Supercars Championship will become known as the Virgin Australia Supercars Championship. 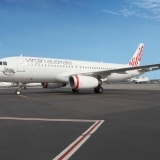 As the naming rights partner, Virgin Australia will carry 26 drivers and their support staff from the 11 teams together with thousands of fans around the country each year through its new Supercars Travel dedicated Virgin Australia Supercars Championship travel platform. This platform will help fans travel to races which take place in each state and the Northern Territory across ten months of the year. 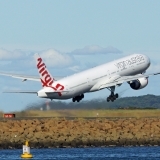 V8 Supercars CEO James Warburton said the partnership with Virgin Australia was a major endorsement of the sport. “We are delighted to welcome one of Australia’s most recognisable and premium brands as our naming rights partner for the next five years,” he said. 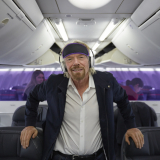 “We are focused on delivering a first class experience for our fans and this is a big win for our fans who fly thousands of kilometres every year across the country. Mr Warburton said V8 Supercars would transition to the name Supercars by July 1 in line with its partnership with Virgin Australia. 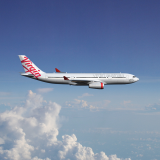 Virgin Australia Group CEO John Borghetti said: “Our airline is a strong supporter of Australian sport and we are very excited to be the naming rights partner of the Virgin Australia Supercars Championship. “With two million fans attending races in 2015, V8 Supercars is Australia’s third highest attended sport and we look forward to supporting its continued growth. Virgin Australia Brand Ambassador Jamie Whincup said it was an honour to welcome Virgin Australia to the sport. “Having such a prestigious brand behind us is testament to the category as we continue to grow from strength to strength,” said the six-time V8 Supercars champion. 2015 V8 Supercars Champion Mark Winterbottom echoed the excitement of the drivers about the announcement. The V8 Supercars is the fourth most watched sport on TV with 59 million viewers across Australia last year. The Virgin Australia Supercars Championship is also broadcast to 87 countries with a potential reach of 233 million homes. The next round of the Virgin Australia Supercars Championship will be the Perth SuperSprint at Barbagallo Raceway, from 6-8 May.